What could be better than a Philmont experience? 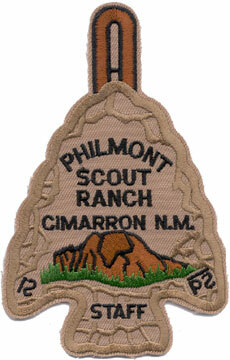 How about getting paid to work at Philmont. Each year Philmont Scout Ranch in New Mexico employs 1000 staff. The staff operate and supports Philmont’s program, Training Center, food service, maintenance, and ranching museums, and to assist the administrative staff. A wide variety of paid positions are available, including rangers, backcountry program counselors, and Training Center and base camp support staff. The majority of contracts coincide with the summer season, from late May through mid-August, though some temporary positions are available at other times to support the spring, fall, and winter programs. The minimum age for employment begins at age 18. Click here for more information on working at Philmont and watch the video.